It all happened so fast! The board read 38 players remaining, and hand-for-hand play was about to begin. Maria Ho was headed for the rail as she couldn't find a winning spot for her few big blinds. But two players busted out on an adjacent table at the same time, leaving the remaining 35 players in the money. 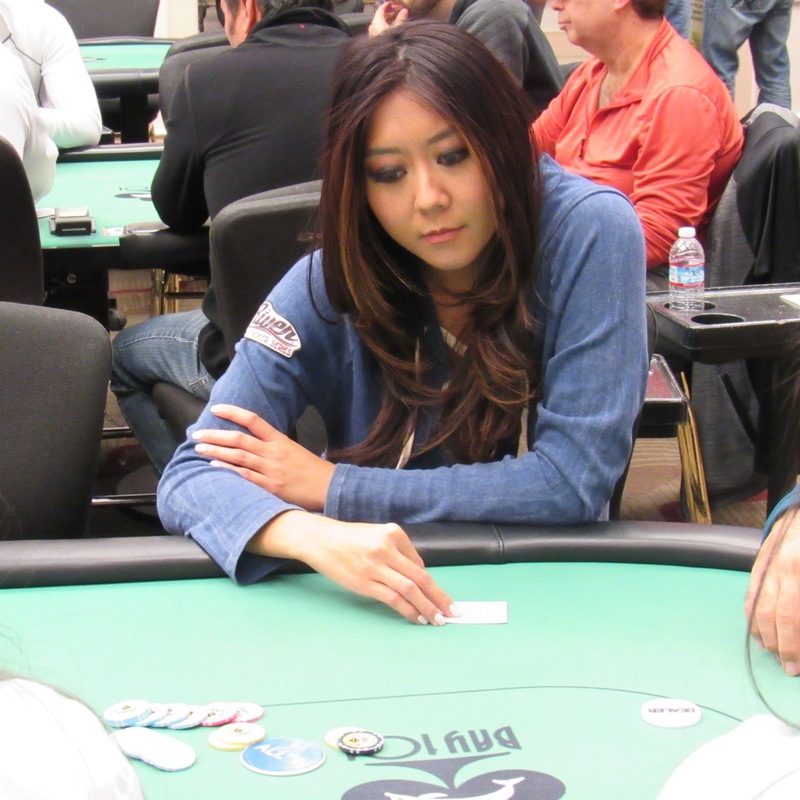 The two players and Maria will split 36th place money three ways, earning them each a $1,326 payday. It's rare to buy in for a tournament and cash for less, but it happened here today at Bay 101.